There’s a movement afoot to hold Johnson and Johnson, the health products manufacturer, responsible for potential cancer-causing ingredients like talk in some of its products. The company lost its second lawsuit in May 2016 when a Missouri jury ordered the company to pay $55 million to a woman who said the company’s talcum-powder products caused her ovarian cancer. The company says it will appeal the decision — and claims the science backs it up. J&J is fighting about 1,200 lawsuits that allege the company knew about cancer risks but did not warn consumers. It lost the first lawsuit in February. Q: Can talc cause cancer? A: Maybe — but there’s not very much evidence to show that. 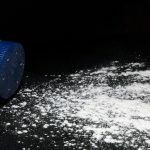 According to the American Cancer Society, some talc in its natural form contains asbestos, which is known to cause cancers in and around the lungs when inhaled. “All talcum products used in homes in the United States have been asbestos-free since the 1970s,” the American Cancer Society says on its website. The Food and Drug Administration says it has looked into this and hasn’t found any asbestos in the products it checked. Some studies on animals have shown that talc can cause tumors, but others have not. Studies exploring potential links between talcum powder an ovarian cancer in women who use talc-based feminine hygiene products have also had mixed results. The most reliable types of studies, which don’t rely on a woman’s memory of whether she used talc, have shown no evidence talcum powder causes ovarian cancer. Q: Did talc cause the plaintiff’s ovarian cancer? A: It’s almost impossible to prove that any single person’s cancer was caused by something specific. In some types of cancer, such as lung cancer, there are very clear and accepted causes, such as tobacco smoke and asbestos. In others, there may be a generally accepted link, such as sunlight or tanning beds and skin cancer, or chemicals such as benzene and blood cancers. Ovarian cancer is not common. It affects about 21,000 U.S. women a year, and while there are clear genetic causes, doctors don’t know what causes most cases. Because it’s usually diagnosed too late to cure it, it kills most patients and is the fifth leading cause of cancer death among women. Q: Is there still talc in baby powder? A: Johnson’s baby powder contains talc, according to the company’s website, but the company also offers a version made with cornstarch. “Shower to Shower,” the product named in both lawsuits Johnson has lost, contains both talc and cornstarch. Many baby and body powder products are now made using cornstarch. “There is no evidence at this time linking cornstarch powders with any form of cancer,” the American Cancer Society says. If you have questions about your legal rights and whether you believe to have been injured by a J&J product containing talc, please contact the personal injury attorneys at Turner and Turner by calling (248) 355-1727 or contact us online.